Best Travel Store Inc. is a California-based online travel agency. 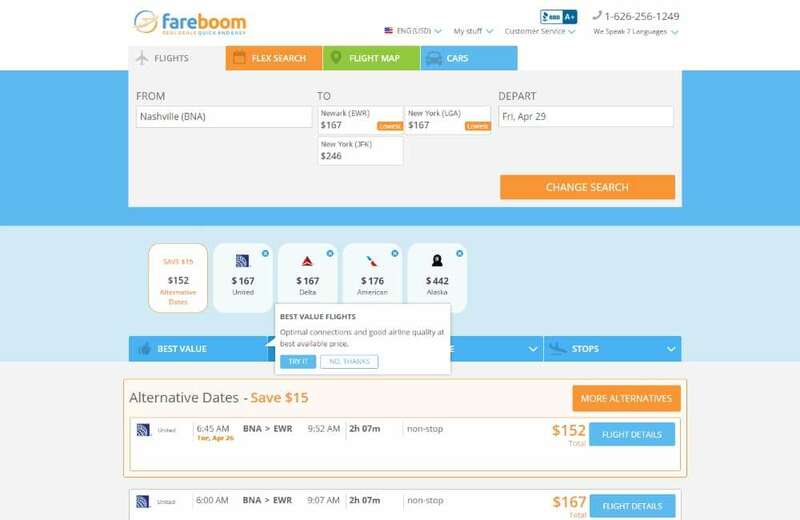 Its core product is a complex travel search and booking engine that integrates with several major inventory providers to offer lower fares and better seating availability. Operating in the sphere of discount flight reservations since 2002, the company has gained in-depth experience. However, the overall inconsistency of the system itself, and outdated software behind it put company’s continued existence in danger within ten years. Due to its inability to compete with other market players, the company faced a significant revenue contraction. The existing version of the product, available prior to the start of cooperation with AltexSoft, was outdated and inept. It was created about 10 years ago, and obviously was unable to keep up with the market challenges. The inherited system required a complete revamp in order to become a modern and competitive solution. 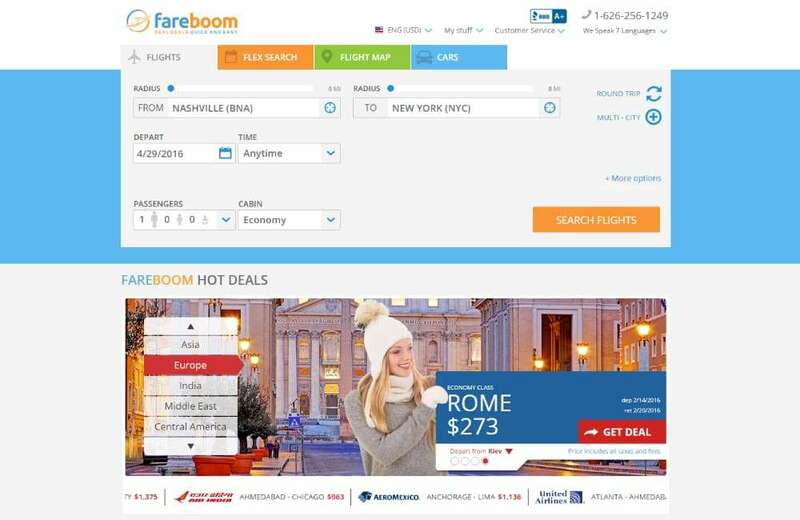 To stay on top of the fast-paced market, we had to develop a distinct and innovative solution – Fareboom.com. Introducing major search algorithm upgrades, complex recombination tool and specific analytics, allowed us to improve the quality of the results by 30% and provide up to 60% more flight options. 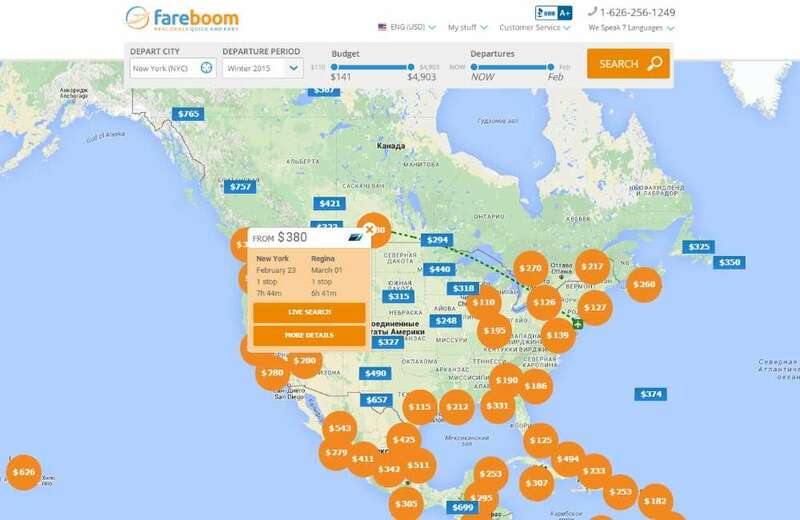 This resulted in the most efficient flight search engine, which is a core value proposition of the company. The new user-friendly interface and optimized UX increased the sales conversion by 150% within 6 months since the launch. In effect, higher revenue for the client without any additional marketing efforts. The choice of technologies was influenced by the need to reuse specific parts of the available software. However, the updated software architecture allowed the client to keep the effort needed for its upgrades and maintenance to the minimum and save up to 30% on development costs. The established continuous integration process, and meticulous feature testing minimized the risks of design flaws and defects, thus making the delivery process predictable and efficient. Integration with the modern version control system (Git) allows for easy and convenient code management. For this project, AltexSoft assigned a dedicated team, consisting of 8 team members: lead software engineer/project lead, software engineers, HTML markup engineer and QA engineer. The AltexSoft team reported directly to the CEO and Founder of BTS, with the day-to-day management processes organized internally by the project team leader. Project technology stack included Microsoft .NET, C#, ASP.NET MVC, MS SQL, jQuery, and Backbone.js. The project required a complete refactoring of the core system architecture, UX redesign and conversion rate optimization, software engineering and quality assurance services. The first version of the product was released within 12 months from the start date of the project. The work is still ongoing: The team has made 3 major releases of the product, and delivered minor ones every 3-6 months. As our cooperation with the client is ongoing, we continue to improve the product, adding more features to it, such as fare predictor tool.